After my last banlist post I was reminded that I forgot to discuss cards on the banlist that could come be freed. As a result here’s a part 2 where I only look at the Top 5 cards from each section of the list that can return right now. One card stands at the apex of cards that needs to return to the game as soon as possible. The one who defined what a searcher monster should be and the only hope for Masked Hero Divine Wind, the hero of heroes! You want to know why? Because someone at Konami North America finds all the Stratos memes funny. Stratos could’ve come back years ago, though right now is arguably the worst time for him to return. Heroes are once again a meta deck thanks to the unholy combo of Toadally Awesome and Bahamut Shark. The deck doesn’t even need Stratos anymore with his job essentially stolen by that upstart punk Shadow Mist. There was large part of my ygo career when my most frequent opponent played Towers Turbo (A Qliphort variant based entirely on playing this eyesore of a card turn 1). I hated playing against it even with my then close to full power Nekroz deck due all the Nekroz monsters being too weak to run over Towers in battle. In hindsight tough, all I needed to beat towers was to main deck a couple of Kaiju monsters. In this era of ygo monsters that you play by tributing your opponent’s monsters are the hottest of sideboard techs. Everyone has a Gamaciel or a Kumungous lying around for floodgate monsters such as Toadally Awesome, Blue Eyes Spirit Dragon and Crystal Wing Synchro Dragon. If Towers came back, people would just tribute it for a Kaiju. Now do I want Towers back? Heck no! This card is incredibly frustrating to play against. However, despite this I’m certain there’s no reason for it to stay banned. Sangan has been released with its errata (disallowing the use of the card you search that turn) which as we can see from the OCG has somehow nerfed everyone’s favorite ugly furball into being downright unplayable. We will likely see Sangan go to 1 and then inevitably 3. Unfortunately, I can’t see him getting any play outside of maybe BA. I don’t know much about the wind-up hand loop other than it requires 3 Zenmaitys and the card Wind-Up Hunter. 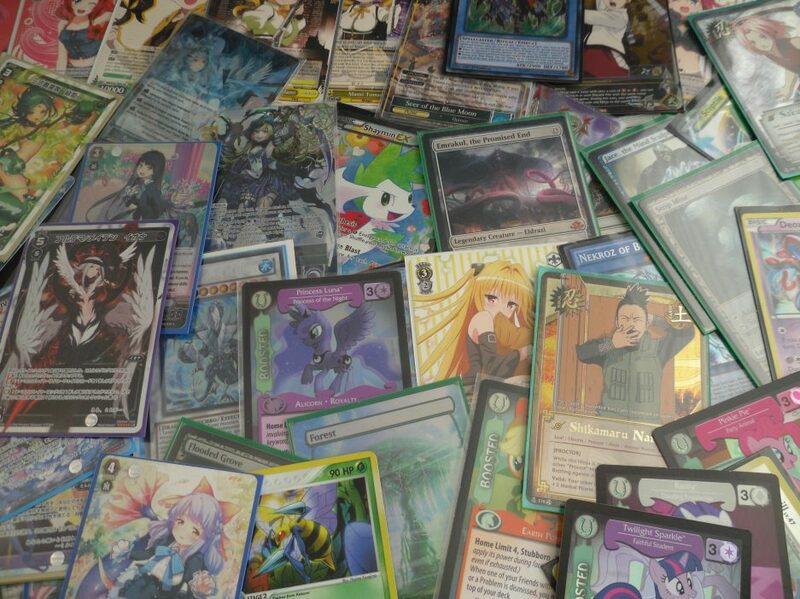 I do worry that by un-banning Zenmaity, people might try and revive that deck. The thing is though, people are already playing Dark Synchro in order to rip 3 cards from their opponent’s opening hand using Skill-Frame Lord Omega. If freeing Zemaity actually leads to the return of the hand loop, then we can just ban Wind-Up Hunter the card that actually causes the discard effect. Zenmaity should never have been the one get the ban hammer, but hey that’s just me. Without the Dragon Rulers, this card is effectively useless again. No deck bar Hieratics can even feasibly play this card. There is no reason for it to still be banned. Now this card falls into my very small folder of cards that should never have been printed. This card is very clearly overpowered and allows for too much free advantage. Now that being said, it’s been at 2 in OCG for over a year now and Six Sams haven’t seen any play. I feel it’s worth a try to bring Gateway back at 1 and see if anything happens. Personally, no matter now much I fear Gateway’s power I fully believe that Six Sams have just been too powercrept to be relevant in the modern era of Yugioh. There was a time when a floater monster that comes with a free foolish burial was way too strong. However, time has not been kind to Math man. While he’s a great play starter and powerful card in general he’s just too outdated and there are better things you can do with your normal summon. I feel he could go back to 2 without the game being broken. This is a good card. It’s not a great card. It’s certainly not a broken card. If your opponent has 1 floodgate monster then I guess Grand Mole can ruin their day, but then again facing only one floodgate monster is a dream come true by itself. Grand Mole was “overpowered” back when the game was much slower than it is today. If you play Grand Mole and use it to bounce the opponent’s monster, unless you have some amazing follow-up plays you’re likely to be killed on the following turn (if your opponent is playing meta). I honestly can’t see any reality where Grand Mole at 3 hurts the game at all. Book of Moon is the most skillful neg 1 in the game. When used correctly it can disrupt almost any play and stymie even the best player’s turn. It’s a card that genuinely rewards technical play and would be very useful in the current format (to slow down xyz plays and such). Book would fall into my category of old staples that never got bad, but still no one plays them. Arguably Book of Moon has lost its place to its contemporary Book of Eclipse (which flips down all monsters instead of 1). Though I feel Book at 3 would be a healthy addition to the format. Shaddolls aren’t doing anything and this card at 3 won’t change that. Nothing, bar the release of Construct could save Shaddolls now. Honestly I don’t see that happening anytime soon. El Shaddoll Fusion is powerful, but at this point it’s wasting space on the ban list. Or maybe Paleozoics will become broken with it. I’m not sure, but I’m willing to risk it. Rai-oh at 2 did nothing. No stun decks are running rampant. No anti-meta decks are winning tournaments and certainly is no one crying over the easily the most overpowered 1900 beater in the game. Now to be fair I want all three of these things to happen so I’m incredibly biased on the matter. Rai-Oh falls into a different category of card than Gateway or Book of Moon. I’d describe Thunder King Thunder King as a card that hinders everything Konami wants a modern archetype to do. Similar to Macro Cosmos or Dimensional Fissure, Thunder King locks out some entire decks from functioning. When someone dropped a Thunder King on me while I was playing Nekroz I was effectively locked out of playing. That being said I think the amount of search power of modern Yugioh has reached the point that Thunder King at 3 would still be an inadequate check to it. I’m just not sure if this card at 3 is more broken than it at 2. I also don’t think that this card does anything. Before you get mad at me, here’s my rationale. As long as Denko Sekka exists, Chain Burn will never be meta. Even if people tried to play Chain Burn, more people would respond by siding Denko . Dragunities were robbed of this card by the Dragon Rulers. Give them back their rightful power so they can consume their normal summon to have a consistent turn 1 Crystal Wing Synchro Dragon. Cause’ honestly that’s all that will happen if Ravine went to 3. Insert the same argument used for Chain Strike to 3, though arguably more so since your first monster can be Denko Sekka effectively making this card more useless than Chain Strike. Whew and that’s the end of it. This may get really confusing, but I’ll try to keep it making sense. Anyway, let’s get started. Speedroid “Auto-top” is currently one of the best monsters in the game and has been ever since its release last year in High Speed Riders. Giving access to any rank 3 xyz without consuming your normal summon is just too powerful as the rank 3 toolbox at this point rivals the rank 4 toolbox in utility and strength. Triple Terrortop and 1 Taketomborg has snuck into almost every meta deck for the last 2 formats (see my recent OCG banlist post). Furthermore with the impending tier 0 Zoodiac beast deck coming out terrortop is more dangerous than ever before. This card really needs a hit, which would correspond with its recent hit in OCG. You remember Toadally Awesome? That rank 2 that you often summon off Bahamut Shark’s effect. Well yeah it’s absurdly powerful and being added to literally any deck that can feasibly run it. Enter everyone’s favorite aforementioned fusion monster (that you never correctly fuse to make) Norden and you find a powerful enabler for Bahamut Shark. This card has always been polarizing for turning the ancient GX-eracard instant fusion into essentially monster reborn. Norden is currently offering the Bahamut into Toad combo to virtually any rank 4 deck with even 1 lv 4 water monster (namely Heroes). In addition, by banning Norden Konami also indirectly hits Mermail which has been seeing increased play due to Toadally. Norden is a disturbingly powerful card that’s essentially a free rank 4 xyz. He’s been a staple of the game for years now, and I think it’s finally time for him to go. Following the trajectory of Solemn Warning, I fully believe that Solemn Strike will go to 2 and then 1. The reasons are obvious. Solemn cards are very hard to play around and they always cost quite a bit of money which frustrate budget players. Strike like warning has been reprinted in a tin already, essentially sold Mega Tin 2016 by itself. Konami no longer has any reason to leave Strike at 3. This card is a nightmare to deal with. It can’t be destroyed by card effects or targeted and it bounces to hand when you try to kill it. It also disrupts your plays by bouncing one of your monsters in the process. Kirin even lets you reuse pendulum monsters with effects that trigger on summon (such as Bunbuku and Skullcrobat Joker). Furthermore, if you Kaiju or book of eclipse Kirin you risk it returning on the next turn to cause the same problem. Kirin needs to be hit, he’s the worst aspect pendulum mechanic to still exist in the game. I used to think Apex Avian was the most egregious example, but I was clearly wrong in that regard. Now before you get mad let me explain. I like many Yugioh players don’t like the Pendulum summoning mechanic. Even in jank format whenever I try to make a weak pendulum deck it dominates the format and crushes any old deck with relative ease. Now that being said this card just locks out the whole pendulum mechanic. If you flip Anti-Spell on a pendulum player and they don’t kill it, they stop playing a real yugioh deck. Without pendulum summoning most pendulum decks are a horrid mish-mash of normal monsters that can’t do anything to generate card advantage. And even if the pendulum player draws into an out to anti-spell they’re forced to set it first. Now I think Anti-Spell in some capacity should exist as a check to Pendulum decks, but despite that no card that is so powerful should be at 3. We may dislike pendulum summoning, but it should still be allowed to function. Yeah this is Dark Synchro’s fault too. Level Eater facilitates most of the decks combos and allows Dark Synchro to deck out the opponent if they use Maxx C. Level Eater has also been banned in OCG for awhile now which leads to me to believe that we’ll get it hit soon too. For all the reasons stated above and especially due to how long Norden’s been banned in OCG I also think he will actually get hit on this upcoming list. Norden is banned in OCG and has been for months. Now while Konami TCG has confounded this logic logic before by limiting Beatrice, Lady of Eternal to 1 instead of Dante, Traveler of the Burning Abyss (which allowed BA to survive for another format) I don’t see them hitting Instant over Norden. Since Norden is already at 1, I don’t think putting Instant Fusion to 1 does anything except make the Norden play more sacky. I’m certain someone somewhere wants this card limited or banned and I feel the need to explain to them why this card is fair. Now I do understand the sheer power of this card. It lets you put any light type monster into your graveyard, gives you an additional normal summon and gives you a lv 5 monster with potentially 2300 attack to boot. However to receive all of these benefits you have to play some of the worst cards ever (the effect-less Gem KinghtGarnet or the pitifully weak Gem Knight Lazuli). If you draw your gem knight monster(s), then your remaining brilliant fusions become dead. Conversely if you add a 2nd gem knight to avoid letting your Brilliant become dead, then you risk more potentially dead draws. Now in the hyper fast combo-obsessed format of modern ygo the risk of bricking is not enough to stunt the playability of this card. Brilliant variants will continue to see play and top events. However, the cards that will be hit are the archetypes abusing Brilliant, not the engine itself. Ok so my issue with Pot of Desires is entirely based on its price. If this card were affordably I’d be very happy with its existence. Playing the banish 10, don’t take my combo pieces game seems pretty fun. It adds a level of uncertainty to Yugioh akin to other games like Pokemon (removing 6 cards from your deck as prize cards) and Naruto (losing cards from your deck as battle rewards). What I think needs to happen is for Desires to be reprinted in a tin as an automatic include like its spiritual successor Pot of Duality. After desires goes from being $80 to maybe $20 then maybe the card can limited and ultimately drop between $5-$10. The reason I’m discussing these two at once is because both cards are currently format superstars and are very problematic. Bahamut Shark threatens to make multiple Toadally Awesomes if left alive (while having a huge 2600 attack) and the Toad steals the opponent’s cards when it negates the card (and then recycles either itself, E-Hero Bubbleman or any Mermail monster…). The reason I don’t see either getting hit though is that without Norden it’s unlikely that Bahamut Shark will be abused outside of Mermail. As for Toadally Awesome he’s just too new a card to warrant a hit. With the exception of PePe (the tier zero pendulum deck hit by the adjusted banlist 2 weeks after the release of BOSH) Konami seldom hits cards right after their release. Yeah that’s right, just because I think Terrortop should be hit, doesn’t mean I think it will be hit. I’m certain that Konami could care less about the absurd advantage Terrortop creates in Zoodiacs. As far as I see it, we’ll have to deal with full power Zoodiacs until late 2017 when Terrortop, much like his own spiritual successor Tourguide from the Underworld is put to 1 as an indirect hit to Zoodiacs. Well that’s enough speculation for one day. If you agree with my arguments that’s great. If you disagree that’s even better. Tell me why in the comments or on Facebook, Twitter or what have you. I’ll make a separate post about cards that I think can come off the banlist later. I woke up after staying up until 5 AM playing Force of Will (and yes I’m just as surprised as you are) only to learn that the next ocg banlist has been spoiled/leaked/dropped. I’m ironically very tried despite having just woken up so let’s dive right into it. Majespecter Kirin is the most powerful single Pendulum monster in the game. It’s ability to return any pendulum monster on the field and 1 opposing monster prevents the defending player from making synchro or xyz plays (or it just bounces the extra monster on summon). Kirin is so strong many pendulum decks such as Metalfoes and Odd Eyes decks were running 3 Majespecter Bunbuku and 1 Kirin after its limitation. Kirin’s second build-in protect against destruction or targeting made it a nightmare for decks like Burning Abyss or almost any rogue deck to effectively set-up through. Evan kaijus, the usual go to answer to stun monsters in ygo was barely effective against Kirin since it could pendulum-summoned back on the following turn. Lastly as a personal gripe Kirin is impossible to summon in Pure Majespecters as their scales all max out at 5. All in all Kirin was a blot on the pendulum archetype that I’m overjoyed to see leave. By restricting its effect to once per turn, Rescue Cat can no longer be looped with Uniflora, the Mythical Beast (thus no longer being a 1-card anything). By also negating the effects of its summoned monsters now Rescue Cat is essentially just the small beast version of Rescue Rabbit. It will allow for many 1-card synchro and xyx plays, but cannot be abused further. Meanwhile Pure Speedroids were a rogue deck that I’ve seen top once since their release. Speedroid Terrortop more often than not was a free Dante, Traveler of the Burning Abyss. It pretty much carried the whole deck after Tourguide of the Underworld got hit to 1 over a year ago. My issue with Terrortop is not even it’s free card advantage. My problem is that Speedroids flavorwise are a synchro archetype judging from their boss monsters and in the anime they are piloted(ha) by a synchro duelist also. It’s always upset me that the primary use for Top has been xyz-summoning for that reason. Anyway, after over a year of being dubbed “Speedroid Auto-top” it’s finally the end of his reign of terror. No one cares. This card was powercrept by mirror force going to 3. No one is going to drop Goyo out of fun jank formats (which I do endorse remember). A 6 star with 2800 attack is very unfair, but the age in which it makes was many years ago. Oh and they nerfed it… good. I only know this card is essential for infinite loop combos. I can’t tell if putting it at one is correct or not. I assume this card should stay irrelevant for the good of the game though. For every player fairly bouncing their call of the haunted there will be ten looping some degenerate card from 5 years ago (admitted hyperbole). It’s effect is once per turn and can only used on opposing cards. Well this shuts down bouncing your own cards for value which is one of the broken things about Brio. However, he still triggers Mermail effects, which is why I’m apprehensive to see him return. Will this make Water even stronger? I’m not an expert, but I’m leaning toward yes. That being said I’m glad they didn’t cripple him like most errata’d cards. Actually really matters because a board of double Toadally Awesome is very hard to out. I personally wanted Bahamut Shark hit, but I guess this is a start to weaken the mighty froge. I know Zoodiac Beasts are tier 0 in ocg and that they are beast warriors. I also know that they have their own equivalent tenki so I’m confused why the generic beast warrior support took a hit. Similar to Rota, Tenki was always a problem in that it searched too many cards and gave a small attack boost. However, I’m sad for weaker decks like Lunalights, Gladiator Beasts, Yosenjus, and X-sabers (all of which I have triple tenki in, humble brag/sad face) that get weaker just to not really hurt the best deck. ABCs were naturally forced out of the meta by Zoodiacs. I do know that this hit pretty much kills the deck. Without hangar you can’t assemble Dragon Buster faster enough to compete consistently. I would’ve rather seen Terraforming to 1, but I guess Konami wants field spells to stay relevant and easy to access. That being said most Abc decks (including my old one) played triple hangar and triple terraforming because it was vital to most 1-turn Buster combos. RIP Abcs someday I’ll buy you back as when your valueless and forgotten. You can only target monsters that can be normal summoned? Well you can’t take extra deck monsters which are a pretty important to most deck strategies so I guess this makes the card fair now. I’m pretty sure it’s also worthless now, but maybe I’m wrong. Jack’s, King’s and Queen’s Knight! So now you must pay the 700 life cost during both player’s turns and it’s no longer optional. This is still one of the most powerful trap cards in the game. If it resolves your opponent’s plays could be completely stunted. Now 700 every turn is not very much to pay, though the fact that you can’t turn it off manually may make this card ok. I’m very skeptical though since Anti-Spell Fragrance is already very powerful as generic spell hate. Doesn’t matter to the tcg either moving on. Oh that’s all of them…. This is the one my friend who played this deck said was really good. I’m really bad with Inzektors, but I feel it’s worth testing. Not applicable to the tcg, since it was never limited here. Mathematician: Sadly Math man is pretty slow now. Just the fact that he consumes your normal summon is enough my book to say he’s balanced. Also the game is so fast that the draw 1 card effect is barely relevant. I don’t know what to say. Mezuki is very broken. I’d be ok with it or Unizombie being limited lol. Both while able to be used fairly are really easy to abuse. I think everyone just wants Construct back lol. Just errata away one of her many effects and bring back the Shaddoll MVP! And that’s the end of it. Thanks for reading as always. Well, it’s about 1 AM as I start this post. I pretty much just got back from the Philadelphia regional. As usually with these posts I’m exhausted, tired and about to collapse as I write this. That being said it’s been one crazy day and I need to post about it. I guess it’s Empowered ABCs? Why didn’t I play Dimensional Barriers or Desires? Because I have limits on my card game spending and buying the Strikes/Cyclones and Anti-spells were already way outside my comfort zone. Dragoedies was hit or miss. I managed to resolve his scale effect twice, but both times it won me the game. The main deck Ghost Ogre was really good and was only weakened by my admitted misplays. The 2 C Crush Wyvern didn’t hurt. The 3 Cosmic Cyclone in the main was very good. There were a few games where Twin Twister would be better, but the banish factor was almost always relevant. I had to buy the Anti-Spell Fragrance at the venue, but it was very strong. Also Strike… Strike is amazing. It was the MVP all day. Not even a question. I barely saw ABC Dragon Buster. If I did I won that game. I never made Traptrix or Ancient Fairy…. which also made the trap holes alot worse. In hindsight Cairngorgon might’ve been a good card to run. So like Artifact Lancea was awful. It never blocked System Down, it had fringe use against Dark Magician, but nothing in the mirror. Cycle Reader though put in some good work. Surprised to be playing something not named ABC or Metalfoes I missed up game 1 tagging out Buster Dragon too early. He shuffled away my piece with Alsei and I lost afterward. Game 2 open the standard board and beat him. Game 3 we go into time and he makes #38 Hope Harbringer, but I have 2 lv 4s on the field. I make Lightning and swung for game. Game 1 I slow him down with Anti-Spell. He draws out of the essentially turn 1 stun, but forgot Navigation needed a Dark Magician on field so he couldn’t stunt my plays. Game 2 he walked right into Dragoedies scale effect losing his Dark Magician to the shrink effect. I beat him handily even under Skill Drain after that. Game 1 he makes the standard ABC board (Buster Dragon, Tsukuyomi, and traps). I try to out is, but he disrupted my play and twin twistered both my strikes. Game 2 I make the exact same board and loses failing to out it. Game 3 Cycle Readers stunts his turn 1 buster. We system downed me twice and I misplay using GOSR on his Norden. I ended up getting outgrinded from there. Once again I make the standard ABC board and he scoops not revealing what he’s playing. I side generic going second stuff and he bricks the turn one ABC setup. I take him down to 1500 life turn 2 with the nuts Buster, Tsukuyomi and another piece (thanks gadget). He makes Cairngorgon to nerf my Buster and then makes his own. On my turn set Dragoedies in the scale and he reads it twice before I attack his ABC Dragon Buster with A Assualt Core. He activate Drag’s effect and he tries to Cairngorgon. I tell him Drag doesn’t target. He tries to chain tag out Buster. I tell him he can’t tag out in damage step. He looks overtly tilted as I take him to 100 life. He scoops the following turn after I throw up Emeral and Gear Gigant (with more fodder for Dragoedies). Ok so this is the only round that ruins my dieroll format argument as I won the dieroll, bricked/opened nothing great and lost. Game 2 we both exchange system downs to make Buster sad forever. I ended up using galaxy cyclone to banish rhapsody in berserk to prevent his Tsukuyomi from killing mine. Still was too little too late and lost game 2 to being outgrinded. I was on the verge of dropping from exhaustion, but I was renergized by the sight of my most hated deck Metalfoes (full disclosure I’ll explain why I hate metalfoes later). Anyway I GOSR his scale after making a weak abc turn 1 board. This is enough to stunt him and then I banish his scales with Buster Dragon on my second turn. Game 2 his opens Steelen, Goldriver, The Yang Zing Spell searcher and double Combination. Once again I GOSR his scale and he passes setting both combos. I make the board and he scoops. Game 2 I scoop after his summons Toad+Opabina, but we still start game 3 in time. He summons a frog to xyz with, but I flip vanity’s and attack his Ronin with A Assault. From there I waited out until I won due to the lifepoint advantage. (Pro move was not attacking his set 2000 def frogs with A at the start). Game 1 he makes the board, I fail to out it and he OTK’s me. Game 2 I make the board and he scoops. Game 3 I Lancea him to prevent turn 1 buster, but can’t make a decent board turn 2 and lose. He makes the standard hero board after I GOSR his goblinbergh (which was a misplay, though he had instant fusion anyway). Anyway I fail to out the Darklaw, Bahamut Shark _ Toadally board. I don’t think I need to write anymore. I placed 96th in the regional of about 400 people, which beats my place at the last regional at least. I made a lot of misplays, I in some cases did pretty well I hope. The best part of the regional is that all day I played against nothing, but friendly players, not a single awful one in the bunch. Pick-ups of the day and survivors of me selling my deck. Yep I sold almost every else of that ABC deck (He didn’t take the terraformings and some commons, dweller or utopia and refused to sell the pictured 4 cards). My best pick up of the day pictured next to the best bad ABC support. Always plus ladies and gentlemen. I’ll play Infernoid BA or Kozmo Kaiju as my “meta-ish” decks from now on. And of course my current favorite deck Gate Guardian. I gotta shout-out my crew and their highlights of the day.